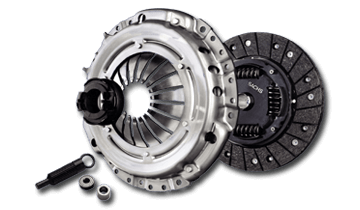 If a new clutch is what your car needs, The Gear Centre has the best option available for you! We are a proud Sachs Authorized Distributor in Canada, offering a vast supply of Sachs Super Set Clutch Kits for both domestic and imported vehicles. Sachs clutches are precision engineered using the latest in torsional damper technology and asbestos-free linings. All components are manufactured using the highest quality materials to ensure smooth, dependable performance free from gear rattle, torsional harmonics, and other annoying problems. Each kit comes with a pressure plate, a drive disc, a release bearing, a pilot bearing and a pilot shaft, all the essential components for an efficient clutch replacement.